For many people, Augmented Reality (AR) apps are a futuristic, distant and intangible technology, but for others, AR is here, and it is here to stay. Generally, Europe is slower at adopting new trending technologies and the spotlight is invariably on US tech giants and app builders. In this post, we wanted to see what European companies are up to in the AR stakes by looking at examples of AR applications across a multitude of business sectors. Before going on, here is a reminder of what Augmented Reality (AR) is. AR is the projection of 3D virtual objects in one’s real life environment through a smartphone or tablet screen. The best example of AR is the Pokémon Go app; remember back in 2016 when hordes of people were roaming around aimlessly with their smartphone as a guide. Although still strong in the gaming industry (Check out the AR app ‘The Machines’ if you are a real fan), we have seen some new trends in Europe when it comes to applied AR. A majority of organisations in Europe are optimistic that new business models can be created through AR. A study conducted by Ecorys estimates that by 2020 the production value of AR and VR will reach up to €34 billion and create up to 480,000 new jobs. Improvements in communication and marketing are also seen as areas with high potential by European business and IT professionals. In the UK, the general public is interested in ways AR could improve their daily lives, mainly for healthcare, around the home and training. Elements 4D is AR app that teaches kids chemistry and new chemical formulas. This app is an affordable and safe option to the traditional teaching methods. Chromville Science is another interesting AR app that can teach students about the human anatomy. They can also study biology and astronomy in the augmented reality world. One of Europe’s biggest retailers, Zara, announced earlier this year that it plans to roll out an augmented reality experience across 120 stores worldwide. 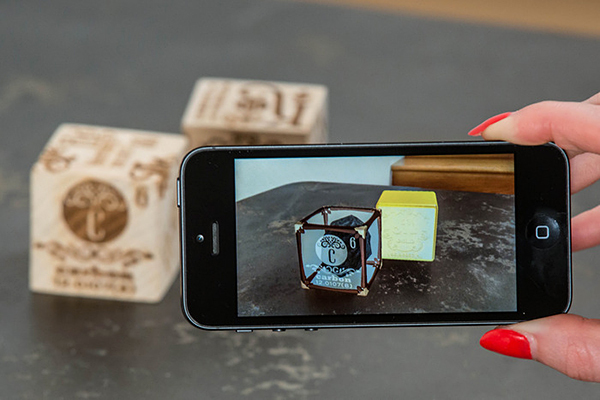 The AR app is intended to create a new in-store experience to attract REAL shoppers to high street stores. Online shoppers can also enjoy the experience when they receive their packages at home. It will be interesting to see if other clothing brands follow suit. The art section of Salzburg’s Haus der Natur museum is displaying an AR-powered art show containing beautifully detailed satellite images of Earth. Through an AR app called one Earth, visitors can interact and learn more about the exhibited artworks; some of which trigger 3D models, and others display informative video content and relevant geographic data. Another example of AR attracting tourists in the nearby Carnuntum (Capital of the Roman province Pannonia Superior) Archaeological park, also in Austria. Here visitors can experience a scale 3D model replica of an ancient gladiator school. The AR technology allows users to see the reconstructed city directly above the ancient ruins. Alder Hey Children’s Hospital in Liverpool has launched a new augmented reality tablet app entertain, educate, and distract their young patients. The Alder Play app allows children to choose an animated avatar who will appear on the app as they visit different parts of the hospital and offer them entertainment, information, and support; as well as challenges that they need to complete to unlock new content. The UK’s National Health (NHS) Service has formed their APP Library that currently has 46 mHealth (Medical Healthcare Apps). MyCOPD is the only one certified for use by the NHS at the moment. Two others – Chill Panda, an app for anxiety management, and Cypher, an anonymous social network app for self-support are being tested. The other 43 have passed a technical assessment and been deemed to be safe and compliant with data-protection regulations. There is an enormous amount of investment in the technologies needed at each stage of the AR mobile development pipeline; this will inevitably lower the barrier to entry for many businesses and fuel higher growth. 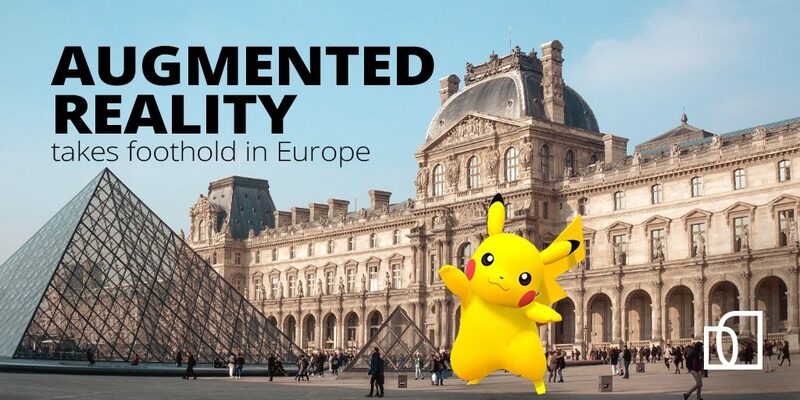 Europe is playing catch up for sure, and it seems many large European multinationals are slow to adopt AR. The reality is that AR technology is still in its infancy and we are already finding a practical application across many industries. It is hard to not see future without this tech and we can only imagine where it will be in 20 years time. We would like to hear your thoughts on AR so, please, leave a comment below. If the article has inspired you and you would like to contact us, this is where you can find us.